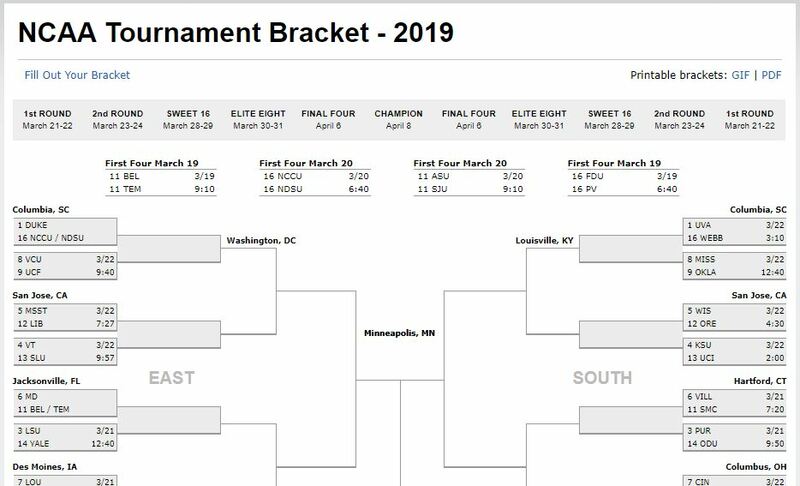 2019 bracketology is here. In this article we will link to a few brackets that are great for printing. If one doesn’t print as well as you like, try the other. The tournament tips off on Thursday March 21, 2019.